Garden View is a wonderful, romantic retreat in County Clare; a detached, ground floor cottage, surrounded by farmland with grazing animals, near Kilmurry McMahon and Killimer, sleeping two people. There is a double bedroom which is accessed via the shower room and an open plan living area with kitchen, dining area and sitting area with an open fire. Outside there is ample off road parking, a large front shared garden with furniture and a shared rear lawned garden with access to the orchard. Garden View is a lovely holiday base. The coastal town of Kilrush is located near the mouth of the River Shannon in the south-west of County Clare. An historic town, one of the listed Heritage Towns of Ireland, Kilrush was once an important Shannon port and is today home to a modern Marina and Heritage Centre. Take a boat trip from the marina and explore the lovely waters of the Shannon Estuary, with its many picturesque riverside towns and villages and resident population of bottle-nosed dolphins! Electric heating with open fire. 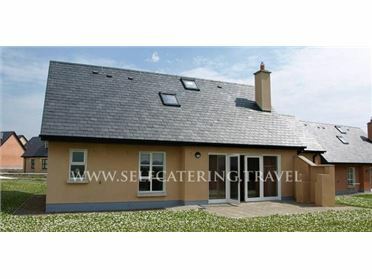 Electric oven and hob, fridge, washing machine, TV with Saorview, WiFi. Fuel, power and fuel for fire inc. in rent. Bed linen and towels inc. in rent. Ample off road parking. Large front shared garden with furniture. Shared rear lawned garden with access to orchard. One well-behaved pet welcome. Sorry, no smoking. Shop 1 mile, pub 3 miles. .